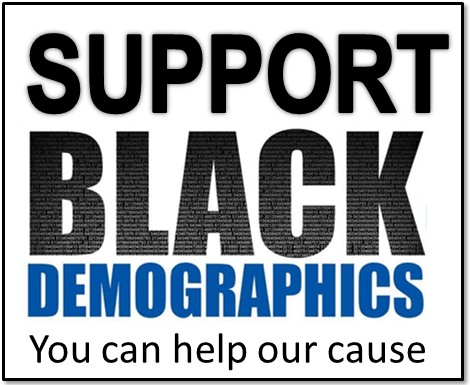 This has been a phrase used by many in the media and with organizations who are both for and against black interests. It has become one of those quotes which has ingrained itself in the memories of Americans so much so that it is assumed to be fact. This is one of the most misleading phrases used in reference to black men. 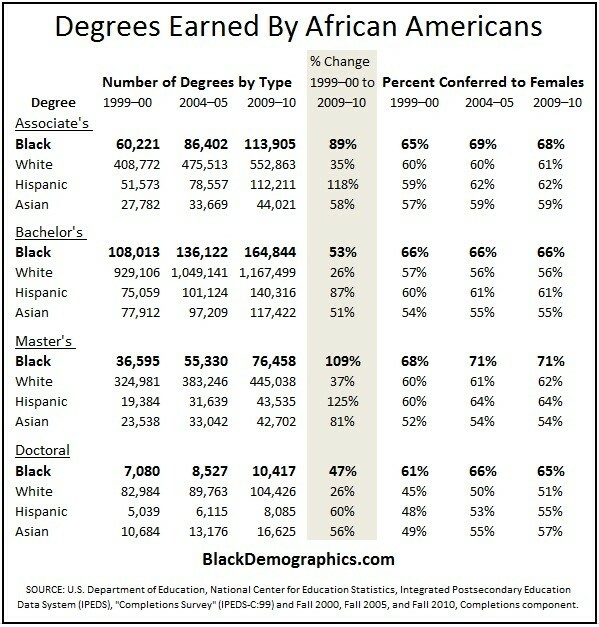 According to government figures 1,034,000 African American men were enrolled in a degree granting institution in 2009 compared to 841,000 who were counted in the nations jails and prisons during the same year. 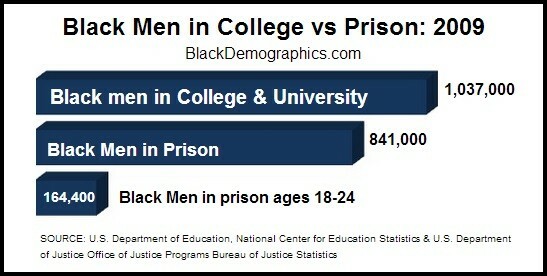 And of those Black men in jail and prison only 164,400 are of typical college age (18-24). 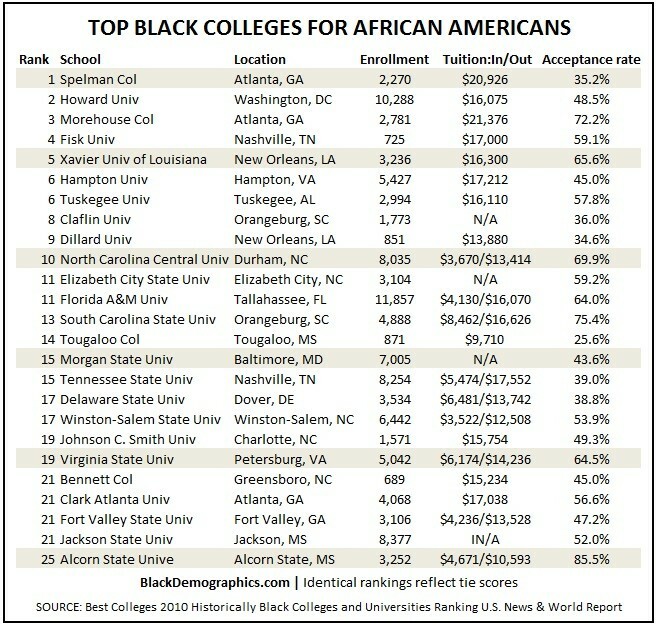 In fact even a decade ago when overall numbers suggested there were Black men in jail than in school, college aged Black men enrolled in a degree granting institution far outnumbered their peers who were incarcerated. This is not to deny the fact that Black men are not over-represented in jail, however it is to refute the notion that the so-called school to prison pipeline is larger than the school to college pipeline which is simply not true.